Welcome to Landers McLarty Dodge Chrysler Jeep Ram! Ready to discover your auto loan opportunities? 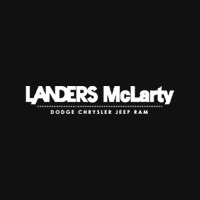 Landers McLarty Dodge Chrysler Jeep Ram We strive daily to provide the best service! With models like the Durango, Ram 1500, Grand Cherokee, Wrangler, Compass, Renegade and Charger, we have something for every taste and need. Our massive inventory ensures we have not only the model you want, but the color and trim level you desire as well. Don’t forget that every new car purchase comes with two years of Owner Care.